Breakfast was great - very good range of options. Location beside the pier and fishmarket also was handy to many attractions. The room with a view of the harbour was great. Very comfortable bed. Very nice bathoorom. It was very quiet during day and night. Excelent breakfasts. Excellent Buffet Breakfast. 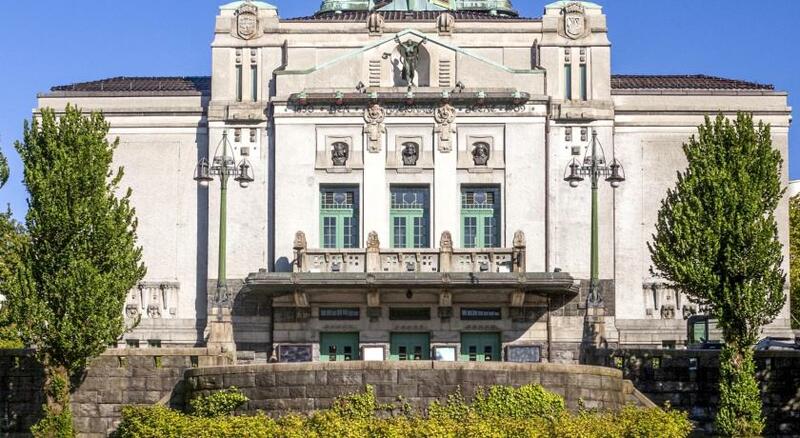 Central location opposite fish market, adjacent to port, in Bergen. Can walk almost everywhere from hotel. Airport bus stop next to hotel. Helpful and pleasant staff. Free tea and coffee available all day. Excellent breakfast. Tea-making facility in the room. Excellent location near Bryggen. Friendly helpful staff. Great location. Good breakfast. The quirky Varg Veum theme - I was very pleasantly surprised to be put up in Varg Veum’s cabin, where I had a fantastic view of Bergen harbour and the Hansa waterfront. The breakfast table was very impressive. The location just beside Vågen downtown is perfect. The bar in the second floor is quite nice. 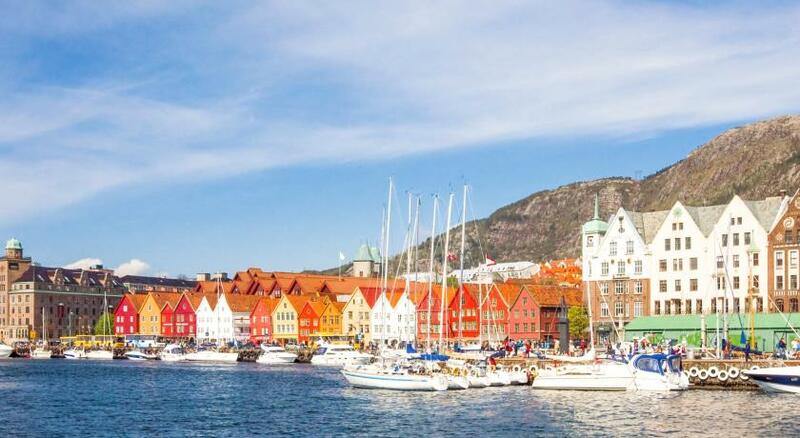 Overlooking Vågen Fjord and Mount Fløyen, Scandic Torget Bergen is only 200 yards from the picturesque Bryggen wharf area in central Bergen. It offers free WiFi and a 24-hour lobby shop. The rooms at Scandic Torget Bergen feature cable TV and a desk. Some have a flat-screen TV and minibar. Scandic Torget Bergen’s restaurant serves a daily breakfast. A wide selection of malt whiskies and exclusive cognac brands are served in Femte I Andre Bar. Guests enjoy free access to Actic Gym, which is 5 minutes' walk away. 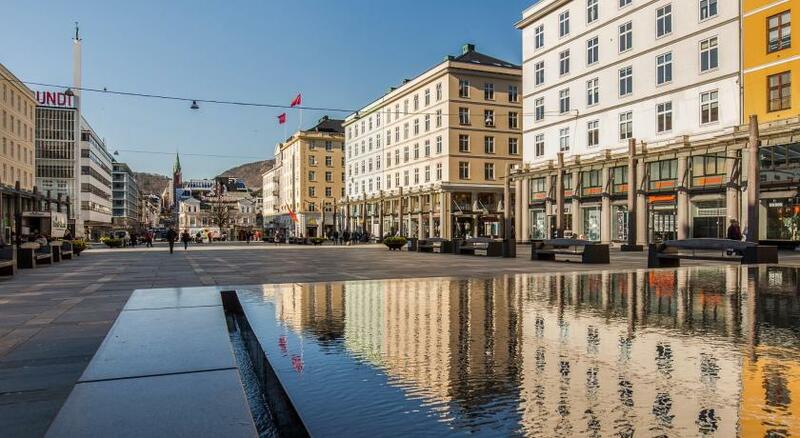 Torgallmenningen Square is 100 yards away. Fløibanen Furnicular is a 5-minute walk from the hotel. 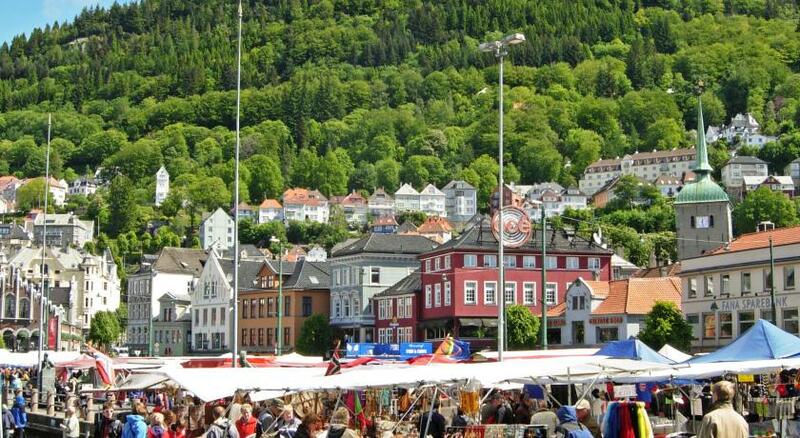 Bergenhus is a great choice for travellers interested in scenery, fish markets and seafood. 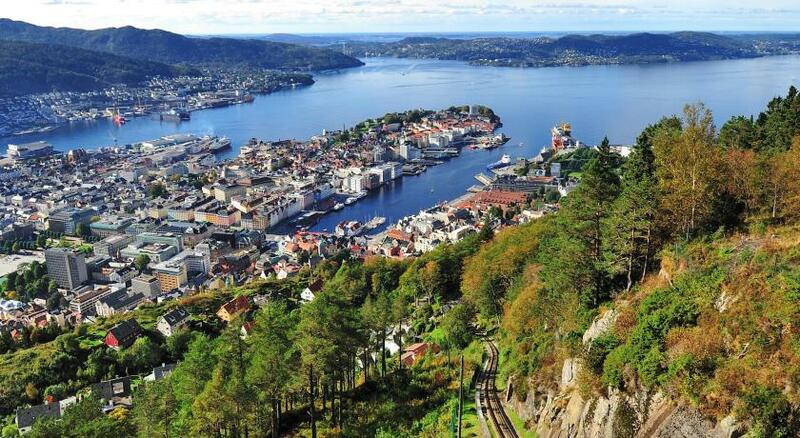 This is our guests' favourite part of Bergen, according to independent reviews. Scandic Torget Bergen has been welcoming Booking.com guests since 31 Jan 2011. 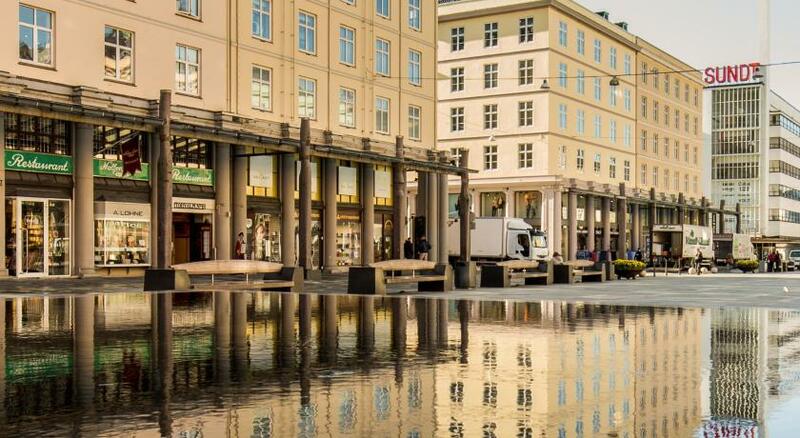 When would you like to stay at Scandic Torget Bergen? Includes a cable TV, fridge and work desk. Includes cable TV, a fridge, as well as a desk and ironing facilities. The bathroom includes a hairdryer. 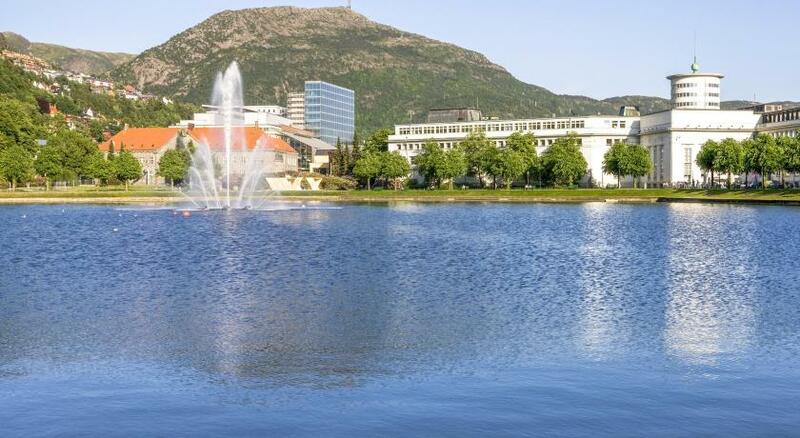 Hotel surroundings – This neighbourhood is a great choice for travellers interested in scenery, fish markets and seafood – Check location Excellent location - show map Guests loved walking around the neighbourhood! House rules Scandic Torget Bergen takes special requests - add in the next step! Scandic Torget Bergen accepts these cards and reserves the right to temporarily hold an amount prior to arrival. Room was cold, couldn't control temperature in room. Unfortunately our shower did not have a door and there were dubious stains on one of the bed sheets. Luckily we were able to switch rooms, as showering without a door tended to submerge the bathroom under water. Excellent location opposite the harbour and fish market. The buffet breakfast was great with lots of choice. room is a bit old; some staff are with a "cold face"
Inside the hotel is very old and room was very dusty. Only clean thing was sheets and bathroom, which are a must. The price per day was a bit high. A bit of noise from deliveries one morning but good apart from that. Staff was quite dry . showers could have been a bit bigger. Nice comfortable rooms, with a great view of the bay and an excellent location to everything you want to do. Cleanliness, Beds were not very comfortable. Great breakfast!, amazing location, within walking distance to Everything (Ferry to Flam, Fish market, Red Bus for tours etc). Friendly staff. I notified staff of how stuffy it was in my room even with the window open the little bit it would open, and was given a fan that did not run. I told them my hairdryer didn’t work and was told they would look for a replacement. I finally got one on the sixth day there. The room was very dark. I stayed in a much better room at this hotel 10 months ago. Love the location of the hotel.